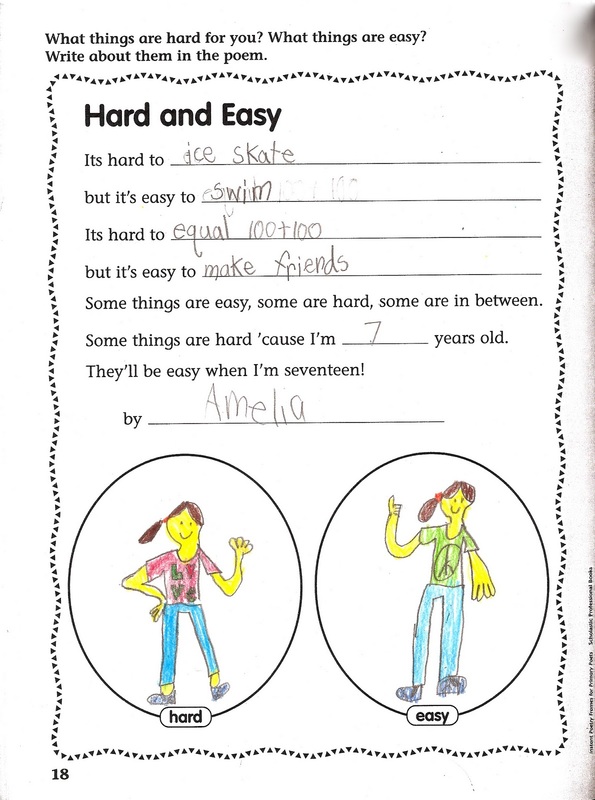 Amelia brought this home from school the other day and I had to scan it in to save it. It made me smile! I love that she wrote, "but it's easy to make friends". That makes me so happy to read. And as always I love her drawings. Notice the t-shirts... she is so into peace and love right now.